Now your hands can determine your personality. Different length of fingers can say a lot about your personality. There are three types of hands and three types of people. Let's start the personality test! They say that your hands can predict your future. Did they ever say that your hands can predict your relationships with others? Yes, you just read right. Your hands, your fingers actually can predict your relationship with people around you. What exactly determines your relationship with people around you? It’s your personality. Your personality is what determines your relationship with others and your fingertip shape can tell a lot about your personality, so in a way, your fingertips can predict your relationship with others. 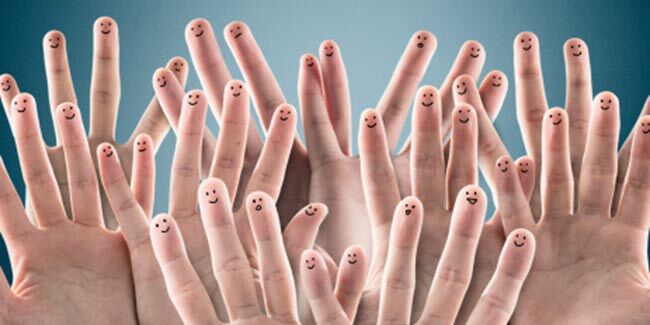 Now, shape of hands, shape of fingers and fingertips are different in different people. As per recent studies, you can take a personality test by looking at your own hands, particularly your index finger. Yes, your ring finger can be a determinant in this personality test as your ring finger shows the amount of testosterone you were exposed to in the womb. Let’s start the personality test, shall we? Straighten your left hand. There are basically three types of hands. One hand is where your ring finger is longer than your index finger; let’s call this hand type hand ‘A’. Second hand type is where your ring finger is shorter than your index finger; let’s call this hand type hand ‘B’. The third type of hand is where the ring finger is of the similar length as your index finger; let’s call this hand type hand ‘C’. The charmers are here. These people are masters at flirting and a pro at receiving flirtatious acts/comments. They are full of confidence and an unsung charm that the put to good use. They are risk takers, go-getters, initiators and good persuaders. Sometimes they can go a little too out of the way to get what they want but it is just them. The perfect profession would be sales. Make way for leaders. Yes, people with hand ‘B’ have got natural leadership qualities. They take charge, they lead but they don’t boss around, people happily accept their leadership. They are born to lead. They are the best people to seek guidance from and they are always on their toes to geode people. They are confidence, ingenious and have answer to almost all your questions. The perfect career for these people is politics and teaching. Lead on! All hail the communicators. These people are the secret keepers; people can trust them with their secrets. People with such hand types are good listeners, drawing people who need good listeners and at the same time the secret keeping quality make people feel safe about sharing their deepest and darkest secrets with them. They are empathetic, compassionate, and warm and at peace with themselves, they are always ready to help others. They will do if appointed as a social worker or therapist.